How to register step by step, with the resources you need. 1. Know the registration process and important deadlines. The registration processes and dates are different depending on if you are a current FRHS student or will be a new student, including incoming 9th graders. 2. Review the registration form & video for your grade level next year. ﻿3. 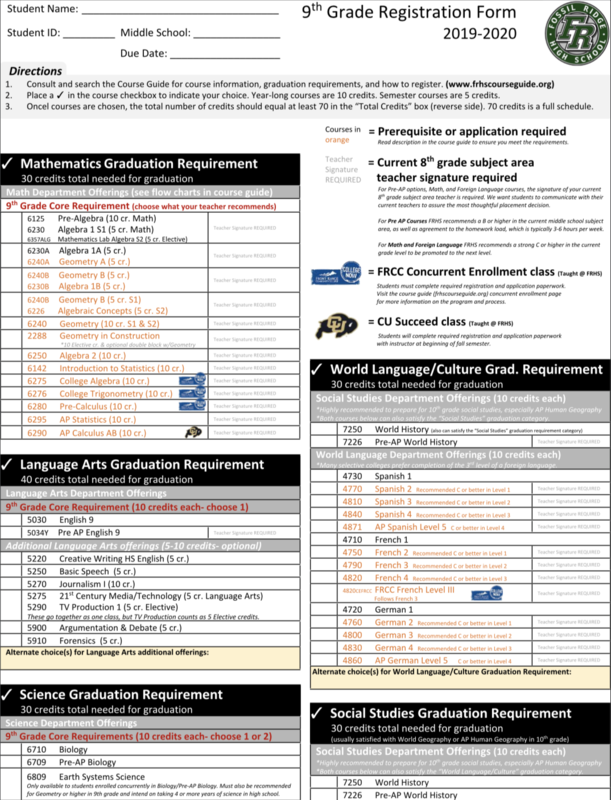 Learn PSD graduation requirements and potential college requirements. 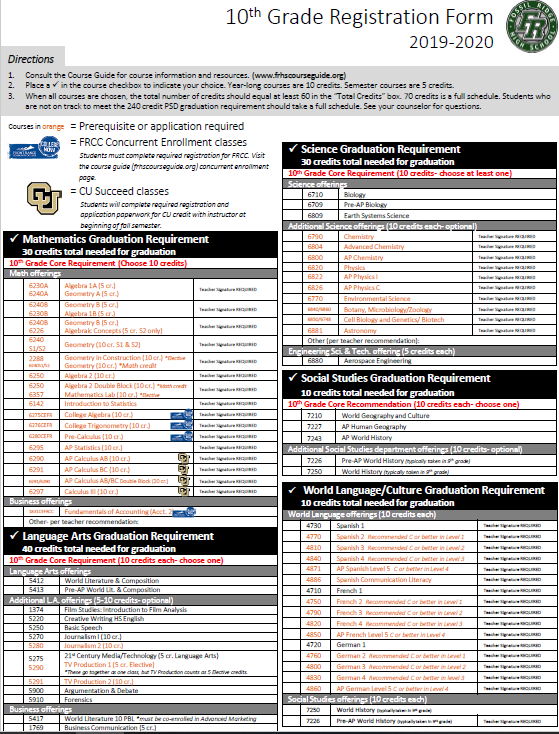 Poudre School District graduation requirements are independent from college admission requirements. In many cases, college admission requirements exceed PSD graduation requirements. 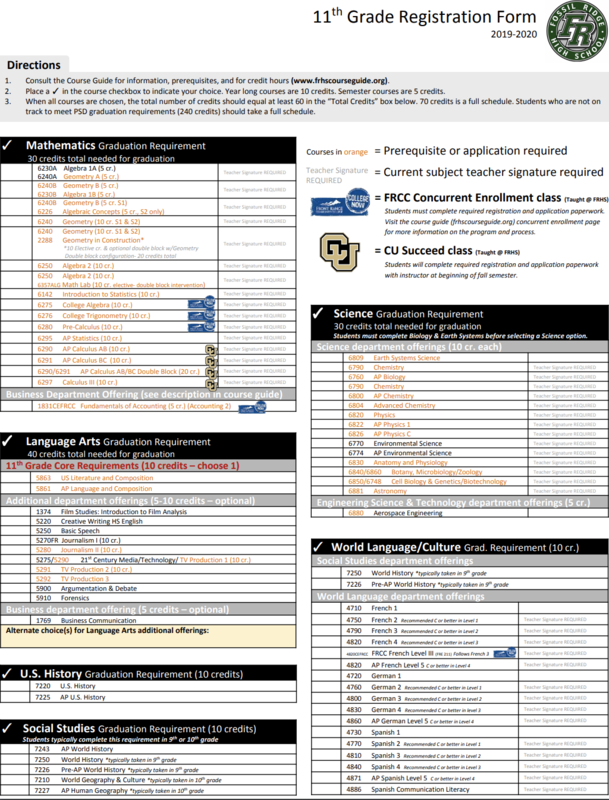 If you have a college/other post-secondary option in mind, be sure to compare their requirements to the PSD graduation requirements and plan accordingly. 4. Learn about the courses you're interested in. To make the best choices, read the course descriptions and view the sequences, which are found via the "Courses & Descriptions by FRHS Department" link above. Courses on this website are sorted by graduation requirement, FRHS department, and by career cluster for your convenience. You can also directly search for courses via search tool below. Watch the appropriate slideshow for your level if you missed the presentation. 5. 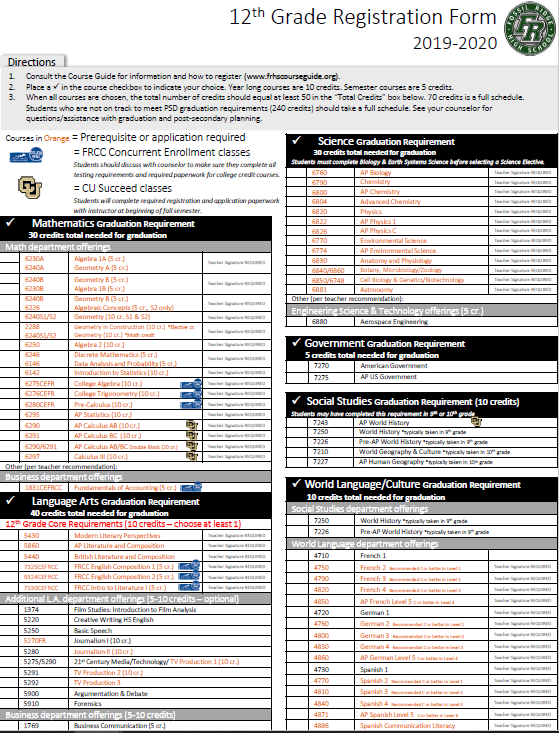 Develop your multi-year course plan. ﻿6. Complete your registration form and return to FRHS counselors. The courses you choose on your registration form are official. FRHS makes every effort to align the courses we offer/schedule to the needs of students. For this reason, schedule changes are very limited after registration submission. For more information on the scheduling process, visit the Counseling FAQ page.